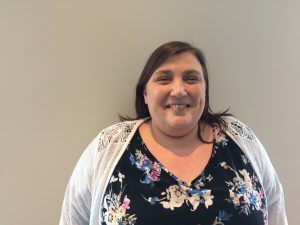 This guest blog is from Catherine Owens, a Family Support Practitioner for Action for Children in Wales. Catherine delivers Talk, Learn, Do: Parents, Kids and Money, a Money Advice Service pilot project set up in Wales to explore & evaluate whether integrating financial education into existing parenting programmes improves financial capability for families (parents, carers and children aged 3-11). 52 partners deliver the project across all Wales’ local authority areas including Action for Children. I’ve worked as a Family Support Practitioner for 9 years, so I have lots of experience working with parents and families. I run four parenting programmes including a programme for parents with teenagers, another aimed at those with teenagers who show aggressive behaviour, and two Family Links nurturing programmes for parents with younger children. Talk, Learn, Do (TLD) is included in the nurturing programme. It’s a 10-week programme of two hour sessions that looks holistically at all angles of parenting with a focus on developing the self-awareness of parents. We add extra weeks onto the programme to include TLD: Teach Your Children about Money where parents complete money sessions and a range of group activities. s right from the very beginning in January 2015. It’s really important to work collaboratively with other across the sector and it was good to have the opportunity to shape the intervention in workshops with other parenting practitioners and financial capability experts. All practitioners receive a day’s training to help deliver the programme. We also had the opportunity to understand more about the ongoing evaluation of the impact we’re having and why this was such an important part of the pilot project. By evaluating the impact as we go along we’re able to change our approach as required and ensure that the sessions are as effective as possible. I’ve delivered TLD sessions for 8 groups of parents. The resource material is well written, easy to follow for practitioners and parents, and very user friendly. Parents respond really positively to the activities in the programme. It gives them real food for thought and new ways of thinking about their relationship with their children when it comes to money. For example, a lot of parents say they can’t afford to give pocket money but most will then admit they spend money buying their children sweets. Things like this help parents to have a ‘lightbulb’ moment – you can see them learning and developing in the session. Parents get a better understanding of their role in supporting their child’s financial capability. Talk Learn Do sits really well within our parenting programme, though I honestly think it could be adapted to fit in with a range of programmes. It’s important because money is something all parents and families have in common and we make sure that there is something in the programme for everyone. Every family, regardless of their financial situation, will have an issue around money, which means that every parent needs to teach their children about money. TLD’s aim is to support that. The sessions also help the stigma around of talking about money. It gets parents to discuss money and not feel ashamed. They break down the barriers and, as a result, parents have come forward to share their concerns or tell us about their own financial problems. Giving parents a way to raise these issues, ones that they might not normally have discussed, means in turn that we’re able to find them the appropriate support. As practitioners, it helps us to support discussions with parents so we can get to the bottom of their problems and hopefully stop them from progressing to a crisis point in their lives. For example, one parent was able to approach me and explain she was having difficulties with a loan shark. Before the session she definitely wouldn’t have had the confidence to do this. Ultimately, all this means that the sessions can help give parents confidence, and feel more comfortable discussing money issues. I’m starting a new job soon but I will really miss delivering the TLD sessions. I think it’s incredibly valuable and I hope it continues, as the parents really enjoy it. Engaging with parents this way helps both them and their children build a better financial future and it’d be great to see more projects like Talk Learn Do across the rest of the UK.